San Romolo is a fraction of Sanremo located on the south-west of Mount Bignone at a height of 768 meters above sea level, nestled between the towns of Perinaldo, Bajardo and Ceriana and immersed in the magnificent Park San Romolo Monte Bignone, who extends in the area for over 700 acres, which is part of the Natural Park of the Riviera di Ponente, in a succession of valleys and low hills dominated by woods (mostly pines and chestnuts) and Mediterranean bush. 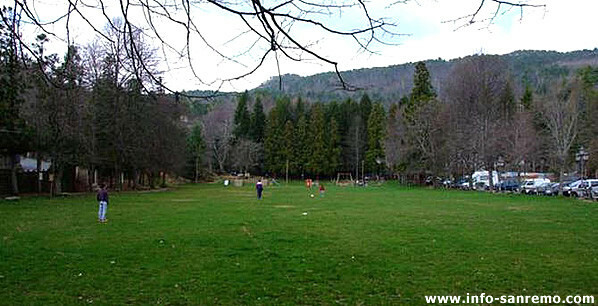 The village is best known for the huge green space that constitutes an interesting tourist attraction. Among the main attractions of San Romolo, in addition to the green and nature, there are: mini golf, trails and mountain bike races, an open-air farm with animals, organized trekking itineraries and more, making it one of the most visited and picturesque places of Sanremo's hinterland. Adjacent to the lawn is the restaurant Dall'Ava (before its door an eight centuries old chestnut tree), which offers typical Ligurian cuisine of earth-based homemade pasta, local game, mushrooms and sweets, and that is a valuable point of comfort for visitors. Next to the bar is a large international 18-hole miniature golf, which stretches for a scenic ride up surrounded by nature. 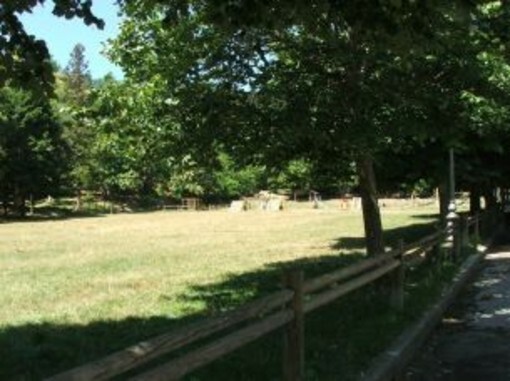 Going 5-minute walk, on to the meadow you can admire the beautiful animals on the farm of San Romolo: goats, horses, geese, ducks, hens, roosters and other animals in a large outdoor enclosure, for the entertainment of children. Today it has become a must for the holiday resort of Sanremo and tourists who want to spend a day of entertainment and rest, breathing fresh air and enjoying the sun or finding refreshment from the heat in the shade of large trees that surround it. A large part of the space is dedicated to children, with slides, funiculars, swings and other games, and in the woods surrounding the wooden tables are available for picnics and snacks. During autumn, you and your children can amuse yourselves picking up chestnuts or collecting mushrooms. This magnificent grove of three acres, in front of the Garavan port, hosts in a classified area, more than 530 olive trees, some of which are over a thousand years old. It irresistibly evokes ancient Greece. This park is arranged in stairs, which allows us to enjoy a breathtaking view of the sea. There are also rustic tables and benches for a more comfortable picnic, a mini-golf and a separate part for those who are accompanied by a dog. Though it is surrounded by a fence, entrance is free. During summer evenings, concerts are held here.